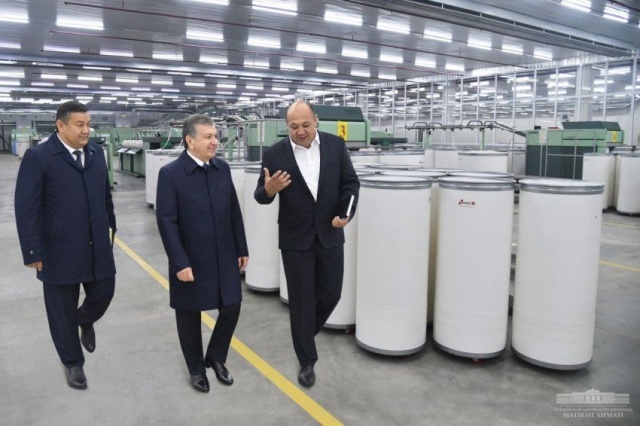 The President visited the spinning and sewing enterprise of LLC Parvoz Humo Ravnaq Trans in Gijduvan district. The enterprise has become one of the results of large-scale measures taken in the country on diversifying agriculture and deep processing of raw materials on the basis of domestic capacities. Modern equipment from Germany, Turkey, Switzerland and Japan has been installed here. 350 jobs were created after commissioning of the enterprise in January. The enterprise is capable of producing 9.4 thousand tons of products per year and exporting goods worth 5 million USD. The second phase of the project provides for further expansion of production capacity, bringing exports to 51 million USD a year, the number of jobs – to 1,250. 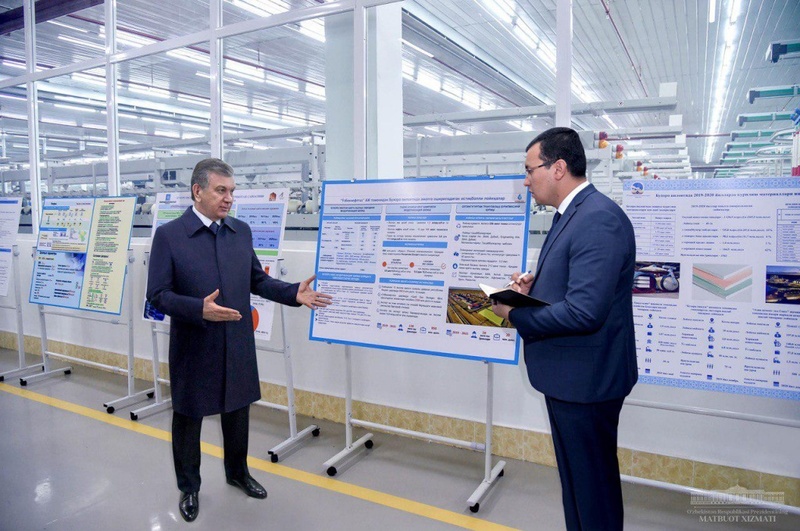 Shavkat Mirziyoyev became acquainted with the technological process at the enterprise. Presentation of projects planned for the implementation in Bukhara region in 2019-2020, as well as those formed by the diplomatic missions of Uzbekistan in China, Indonesia and Israel was held. They envisage increasing the volume of processing cotton, fruits and vegetables, leather, wool, chemical production in the region, a threefold increase in the industrial potential of the region, attraction of foreign direct investment. It is also envisaged to develop infrastructure, repair roads, lay drinking water networks. The President paid special attention to the financial and organizational aspects of each project, gave relevant instructions to responsible persons.